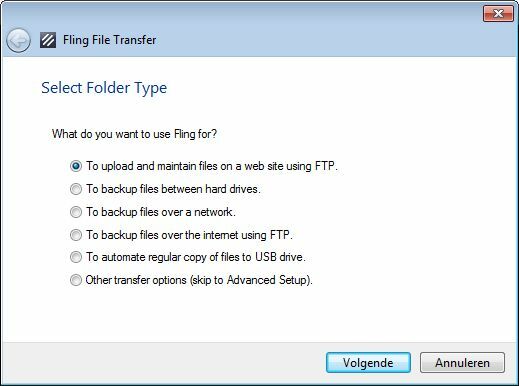 Fling FTP Software is a powerful ftp program that sets itself apart from other ftp clients by seamlessly integrating with your local Windows explorer. 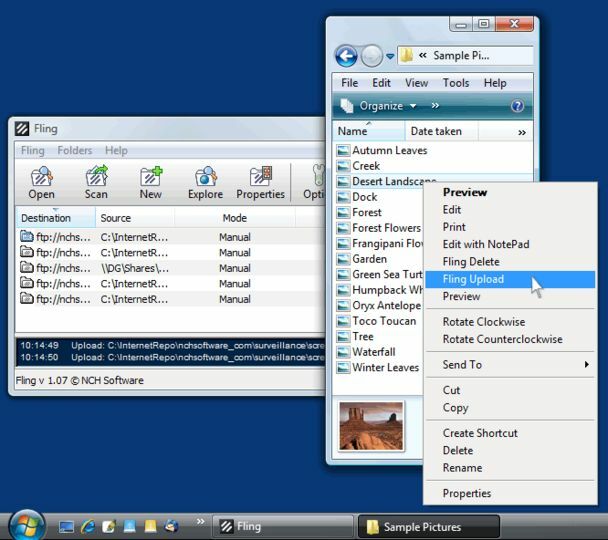 Fling avoids the chore of navigating complicated software interfaces and instead utilizes Windows file explorer. It runs behind the scenes and allows you to automatically upload or transfer files from anywhere on your PC. Simply right click on the file you want to upload and select "Fling Upload". Because Fling does not rely on its own interface for uploading but instead allows you to upload directly via your Windows explorer, uploading time is incredibly fast. Fling is typically used to maintain an online web site or to automate backup of folders. 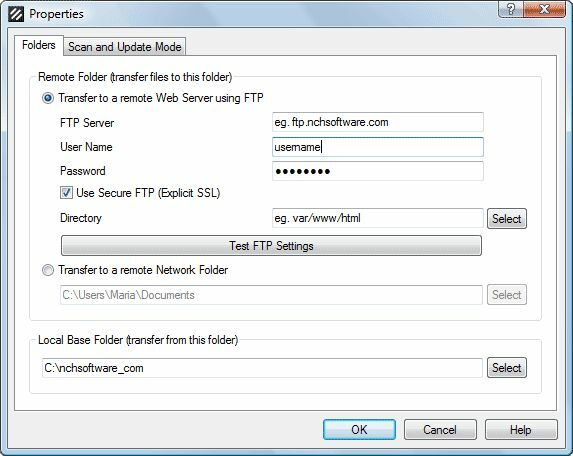 The software supports both file transfer protocol (ftp) and network file transfer. Uploads can be automatic (upload as soon as the files are changed), at a preset interval (eg. every hour) or manually.